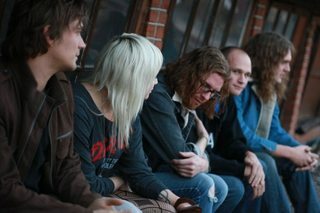 Brief Bio : Born out of Opal Falls Charter School, these five sought to change their hometown, and possibly the world, under the name of Starward. Unbeknownst to them at the time, there was another band under the same name. They were sued, and forced to change their name. They're in bad need of some money now, so they decided to contact iStudio, under the name of Observatory. Their first album, Wein, is scheduled to hit shelves soon, and some big name artists, such as Sam Q, has decided to collab with them. Ny'al Ta'lan, Lana Danielsson, Lionel Keller, Quentin Leroy,Zeke Griffin. Last edited by Cumberlanda on Tue Jul 07, 2015 3:09 pm, edited 1 time in total. "What are we gonna do on the bed, Max Barry?" The Sentinel:|We still exist.|It is here. Send help. We need to get out. Please look at these if you wish to comment on my nation. NS Stats are not the best. On the behalf of Mr. Eric X., it is my great joy to declare that your application is approved by our talent committee. We look forward to receiving The Podunkers to our world, please proceed to our Artist Portal for Album or Single Recording Request. On the behalf of Mr. Eric X., it is my great joy to declare that your application is approved by our talent committee. We look forward to receiving The Dubrack's to our world, please proceed to our Artist Portal for Album or Single Recording Request. On the behalf of Mr. Eric X., it is my great joy to declare that your application is approved by our talent committee. We look forward to receiving Observatory's to our world, please proceed to our Artist Portal for Album or Single Recording Request. 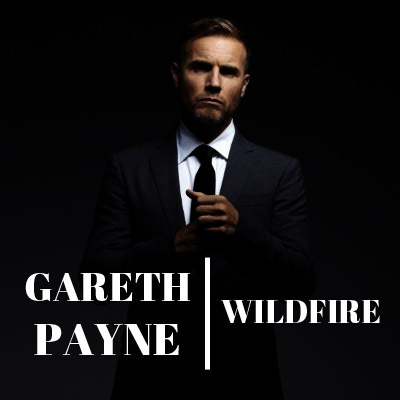 Your album, Station MollyGrey and Single, Someone with Goodies. Feat. Carlos Montana have been produce by our studio label. For information please refer iStudio™ Artis Network segment. OOC: Taggity. This is really well made, good work. Last edited by Cumberlanda on Sun Oct 25, 2015 8:14 pm, edited 1 time in total. Your album, Wein. Feat. 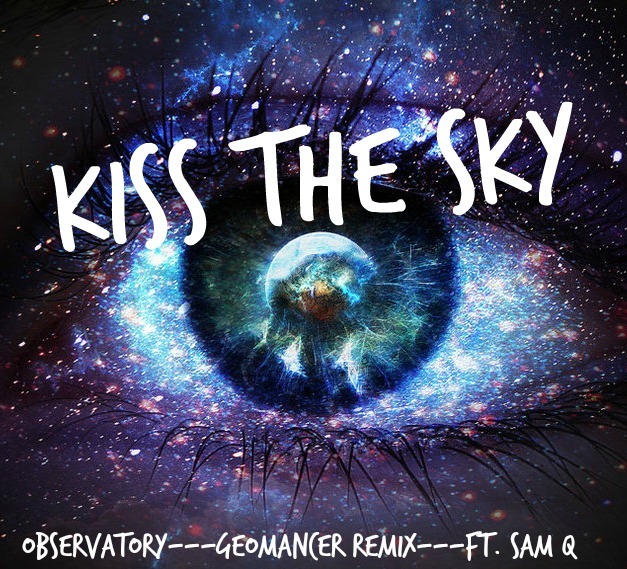 Geomancer, Sam Q and Single, Kiss The Sky. Feat. Geomancer, Sam Q have been produce by our studio label. For information please refer iStudio™ Artis Network segment. (-__-) If you support Communism put this in your signature. On the behalf of Mr. Eric X., it is my great joy to declare that your application is approved by our talent committee. We look forward to receiving The StarMen to our world, please proceed to our Artist Portal for Album or Single Recording Request. Your album, SoundWave "Trance" have been produce by our studio label. For information please refer iStudio™ Artis Network segment. Your single, MK StarStorm have been produce by our studio label. For information please refer iStudio™ Artis Network segment. 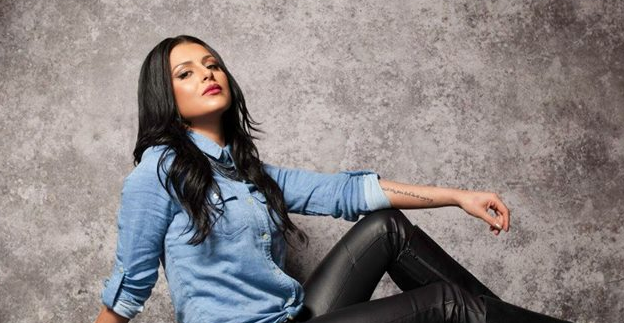 Brief Bio : Myla Richardson (Now Mya Richardson) was born in Burgendore though moved to Music-Capital of Britonisea, Quickenden. Myla has always aspired to be a singer and was called by BVC (The National Broadcaster) to be on many shows before finally being chosen to represent Britonisea in the 38th WorldVision Song Contest where she got 105 points and 5th place, the most Britonisea has ever received at that point. Myla's fame and glory went up ever since that performance. She then performed in the 41st WorldVision Song Contest where she participated in her home country. She then went on to winning the contest with 113 points, an eight point lead from second place. Mya says she will return to WorldVision after conquering the International stage, she's one to work for as she worked for where she is at now. Any Other Details: Not really. On the behalf of Mr. Eric X., it is my great joy to declare that your application is approved by our talent committee. We look forward to receiving Mya Richardson to our world, please proceed to our Artist Portal for Album or Single Recording Request. Today, we are proud to announce the opening of iStudio™'s upcoming shop, iStudio™ Port Imperial International Airport! iStudio™ Port Imperial International Airport will open in January 2016 locate at Terminal 1, Port Imperial International Airport. 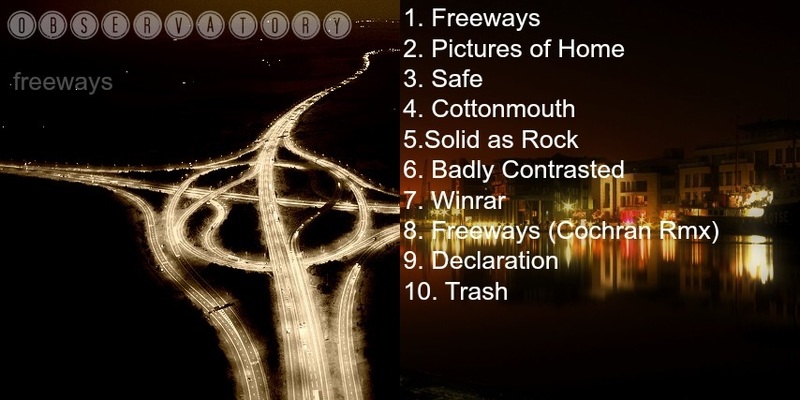 Your album, Freeways have been produce by our studio label. For information please refer iStudio™ Artis Network segment. We are writing this letter on behalf of iStudio™ with reference to your mailer discussion held regarding the tours proposal which your agent has mailed us. We are glad to announce the acceptance of your Observatory: The Freeway Tour 2016, we like to inform that, we have secure some sponsor of these event. Some of notable corporation will able to funding this project and all the expenses we needs. For information please refer iStudio™ Artis Network segment. Last edited by Saltbridge on Tue Dec 01, 2015 12:42 am, edited 1 time in total. Your album, We Be Going Back and Single, Megalovania have been produce by our studio label. For information please refer iStudio™ Artis Network segment. I write to you this day as the executive chairman of the Bank of Thedosia, the single largest financial institution within the Grand Thedosian Imperium, with an offer that I believe shall greatly benefit your corporation in the fluctuating markets of today’s world economy. Stability & Security. The Bank of Thedosia prides itself on being the most stable financial institution in the Imperium, as well as one of the most stable emerging banking institutions internationally. We guarantee the safety of a deposit that your corporation may make at the Bank of Thedosia, and offer only the best in account security to ensure your financial assets are safe from theft. Wealth growth. The Bank of Thedosia has a grand number of incentives, especially for large-volume deposit accounts designed for prosperous international corporations. With excellent returns on investment and high interest rates, you can be assured that the finances stored away in the Bank of Thedosia will grow exponentially. Excellent loan deals. The loan deals available for corporations at the Bank of Thedosia offer a vast variety of different sub-types, allowing for greater mobility in your decision to choose the amount of money you wish to borrow and for how long. Additionally, for a limited time only, any loans, whether standard or business, have a low rate of two percent interest [in order to unlock this offer, the code “BANKTHEDOSIAPROMOTION” must be presented alongside the appropriate application]. 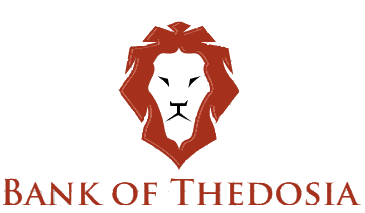 If you wish to learn more about the Bank of Thedosia and all we have to offer, you may do at our official website, at bankthedosia.the. If you wish to contact me for more information, please do so at francistaylor@bankthedosia.the.